Leading the next era of semiconductors. If the 19th century was all about industrial manufacturing and the 20th century was about information processing, then Tomás Palacios has a prediction for our century: “I believe the 21st century is going to be all about energy processing,” he says. “The future of our society depends on how we solve that challenge.” A professor of electrical engineering and computer science at MIT, Palacios puts his faith in a revolutionary new material to transform our energy future: gallium nitride (GaN). 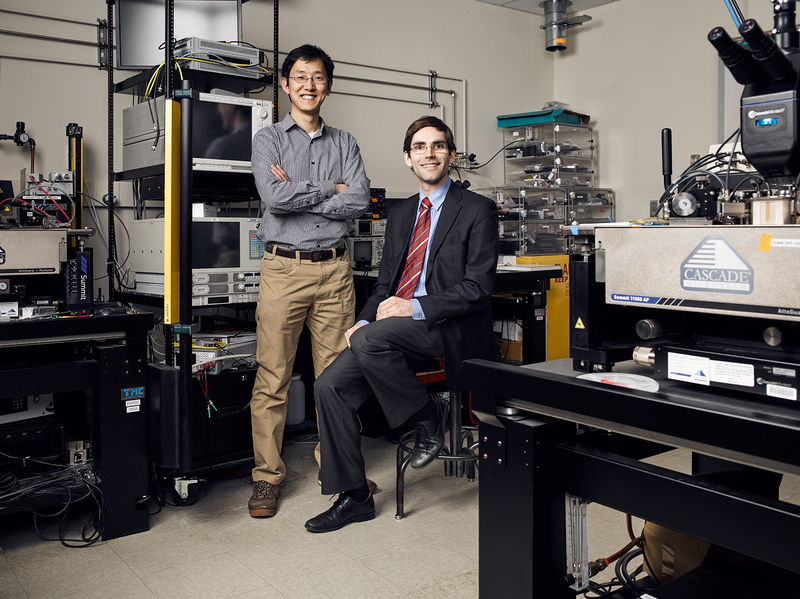 Together with his former graduate student, Bin Lu, Palacios has co-founded the company Cambridge Electronics, Inc. to unlock the potential of this wonder compound and exploit it for commercial and industrial uses. Used in the electronics industry since the 1990s, GaN has quietly become the second-most common semiconductor in the world after silicon, mostly used in LED lightbulbs. But we’ve only just begun to explore its capabilities. “Gallium nitride is a truly amazing semiconductor material,” says Palacios. “The current flows through the material much more easily than silicon, and you can turn a switch on and off an order of magnitude faster.” With those properties, Palacios believes the potential payoff for using GaN could be huge. “If everything lines up in the right way, we are talking about saving 50 percent of the energy that would otherwise be wasted as heat,” he says. The key to GaN’s power lies in its wide band gap, a measurement of how much energy needed to free electrons to move around a material. While silicon’s band gap is 1.1 electron volts (eV), GaN’s is 3.4 eV—more than three times as high. That means that the material can support much stronger electric field than silicon and switch between on and off much more quickly and efficiently, resulting in less energy loss. Currently, electricity is generated at high voltage at power plants, but must be converted to much lower voltages to be used by electronic devices. “It turns out that more than 50 percent of electricity generated in the world never reaches the final user,” Palacios says. “It is lost either in the transmission process or in the transformation from high voltage to low voltage or vice versa.” Using GaN to create switching devices to transform voltage could keep energy from being lost, resulting in more sustainable energy production overall. Despite that promise, however, engineers have needed to overcome multiple challenges in order to unlock the full potential of GaN. Due to characteristics of the material, transistors using GaN tend to be “on” in the default state, while circuit designers prefer them to be “off.” Lu came up with a new way to design the transistor, using a new etching process to enable the default “off” state, which also allows creation of high-frequency devices for 5G communications. He also created three-dimensional fin-shaped structures for the transistors based on what some manufacturers were doing with silicon. “This opened up a new way of shaping the electric field in the devices,” he says, “effectively suppressing current leakage and trapping effects which slow down the speed and increase the power loss of the devices.” Together with Palacios, Lu won an award from the Institute of Electrical and Electronics Engineers (IEEE) in 2012 for the design, which allows the transistors to operate at high voltages at a small size with very low current leakage.